Premature babies are those born before 37 weeks gestation, and in all infants born early there are risks of initial health problems due to immature lungs and other vital organs, including complications such as pneumonia in preemie babies. All infants born before 37 weeks are classed as premature, and it is not usually until the 36th week of gestational development that the lungs are fully developed and functioning in preparation for the outside world. This is not the case with all infants, however, and some can develop and survive outside the womb as early as 24 weeks. Other infants, however, need the nourishment and support of the womb for as long as possible and would be unlikely to survive being born pre-term. Premature birth can occur for various reasons either in relation to problems surrounding the mother's health or that of the unborn infant. Some premature deliveries are planned that way, and in doing so pediatric and neonatal teams are well prepared for the needs of the infant. In the case of an emergency premature delivery although highly skilled teams are on hand to make both mom and infant safe during and following delivery, in some cases it is not known just how strong the infant will be. Complications of premature birth for the infant often surround the immaturity of the lungs, and without full lung function, the infants oxygen supply is compromised. This in turn has a serious knock-on effect to other vital organs, such as the heart, brain and kidneys. Respiratory Distress Syndrome - Some preemie infants suffer RDS primarily due to depleted amounts of 'surfactant' which is usually present to prevent lung collapse. The problem can be helped by administering additional oxygen, the possible need to ventilate the infants lungs, intubation via the trachea, and in severe cases the administration of supplementary doses of surfactant. Transient Tachypnea - This is simply where an infant (even born at term) experiences shallow breathing, which in preemie infants is usually due to being less alert than term babies. The problem usually resolves within approximately three days. Bronchopulmonary Dysplasia - This condition is one which affects preemies who require lung ventilation. 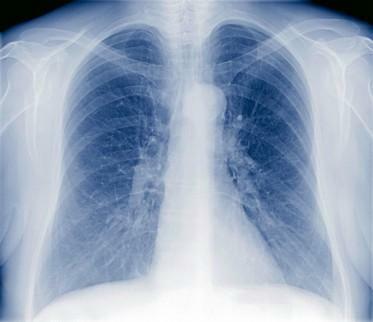 The pressure in the lungs brought about by forced oxygen flow can cause long-term chronic lung damage. This is a condition that usually only affects preemies who have been ventilated long term, such as more than 28 days. Preemies who experience respiratory problems as a complication of early birth are at greater risk of developing lung infections such a pneumonia. In preemie babies not only does the infection from the pneumonia bug cause problems, but the inflammation caused by the infection can also reduce the airspace where the oxygen and carbon dioxide exchange takes place. Fortunately, the condition is one which is not uncommon, therefore easily detected and treated. The primary treatment for pneumonia in preemie babies is supplementary oxygen and equally importantly antibiotics to kill off the infection. Most preemie infants survive an episode of pneumonia and begin to show signs of improvement within 24 hours of the commencement of treatment. However in severe cases or situations where the infection is not treated soon enough, pneumonia can indeed lead to blood sepsis, meningitis or worse still, death. Infants, even those infants born on-time, have a weakened immune system for the first year of life, which is why newborns and young children develop coughs, colds and tummy bugs easily. For an infant who has also been brought from the womb early, although this is an unavoidable situation, his or her immune system is even less prepared for the outside world, which is why infections are a risk. In most cases of premature birth, infants will require time spent in the neonatal unit, whether it be a couple of days, or in the case of severely premature infants, several months. Complications of early birth are a testing time for all concerned, and for parents to see their precious newborn wired up to machines, monitors and pumps, the experience can be extremely overwhelming. As much as preemie infants can rapidly deteriorate in the first few hours and days of life, in most cases once the infant has stabilized and begins to show positive signs of improvement, the road to recovery and eventual discharge home is a happy event to look forward to. Infants who experience pneumonia at birth in the main have a great chance of a happy and healthy life. Those who develop residual problems post-infection usually do so because of other contributory factors.